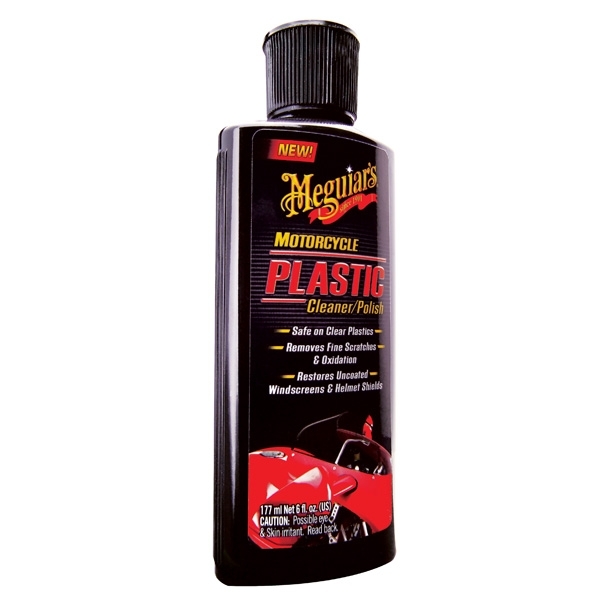 Restore clarity to clear plastics with Meguiar's Motorcycle Plastic Polish. Cutting-edge advancements in micro-abrasive technology gently removes fine scratches, surface stains, contaminants and light oxidation. Vital conditioning oils restore optical clarity, while highly water-resistant polymers provide long-lasting durable protection.